Blemya: Brazilian Positivism - Where are the ‘order’ and ‘progress’? 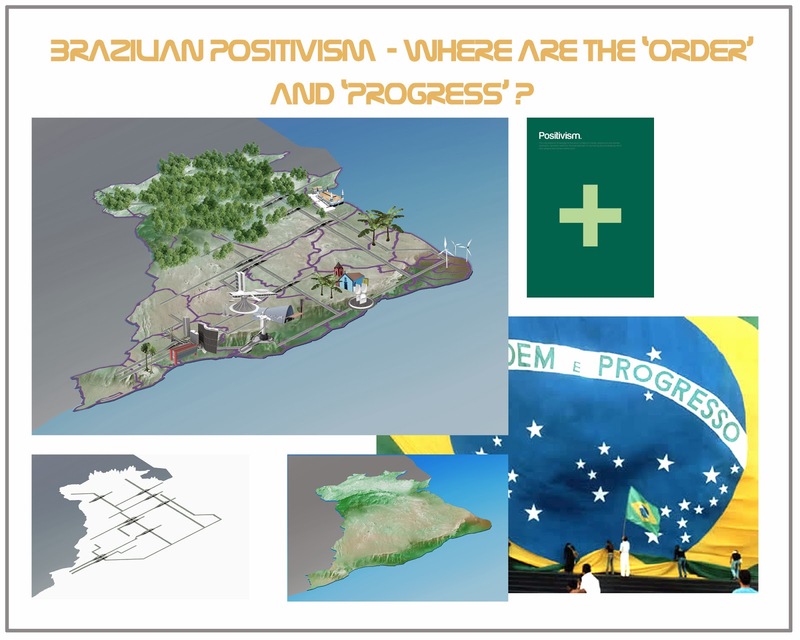 Brazilian Positivism - Where are the ‘order’ and ‘progress’? In 2014 Brazilian republic will be 125 years old, and the ideas of prosperity that guided our hopes were simply forgotten, Auguste Comte is occasionally mentioned in schools, the works of French philosopher are rarely published in Brazil, the few issues when found in used bookstores, or are part of a collection of thinkers of the early 1970s. Perhaps the surge of hope caused by the belief in the powers of science to make Brazil a highly advanced nation had been an exaggeration, or perhaps the ideas with scientific and moral implications were contrary to the selfish corruption desire of our political class. 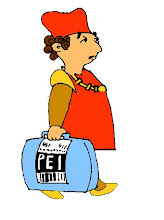 As Comte said “In order to secure the true employment of material power we must at once begin by respecting it generally, save in exceptional instances of fraud”. 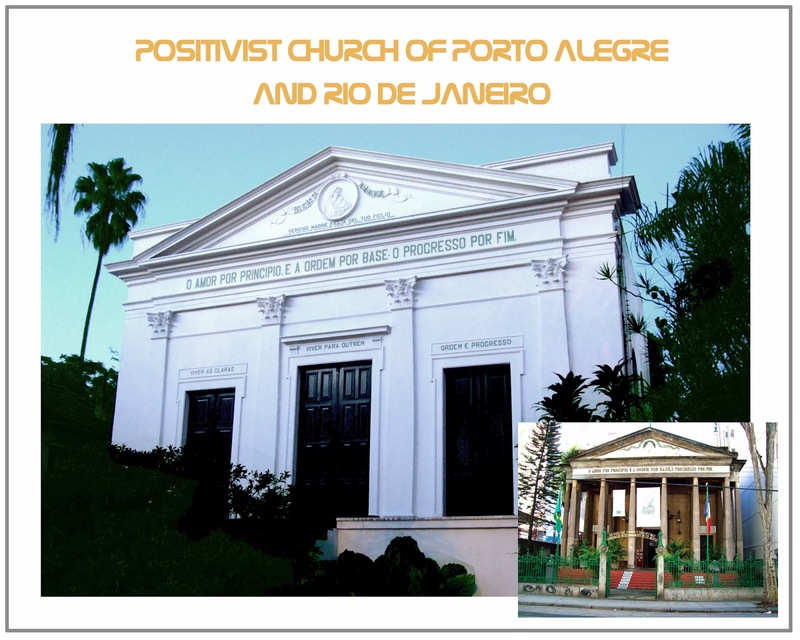 The philosophy of positivism became a secular religion in Brazil and even churches were created, two of them exists to this date 2014, one in Porto Alegre and other in Rio de Janeiro (it is noteworthy that the temple of Porto Alegre, has been suffering with the evasion of adherents and now has just over thirty followers throughout the state). The philosophy of positivism was instrumental in the propaganda to replace Dom Pedro II. Positivism postulates the possibility of systematization and explanation of all phenomena, mathematical or social stipulating constant laws based on observation. Jean-Jacques Rousseau is often touted as the philosopher of the French Revolution. Robespierre took the idea of sovereignty and radical virtue as the rally cry for the revolution. 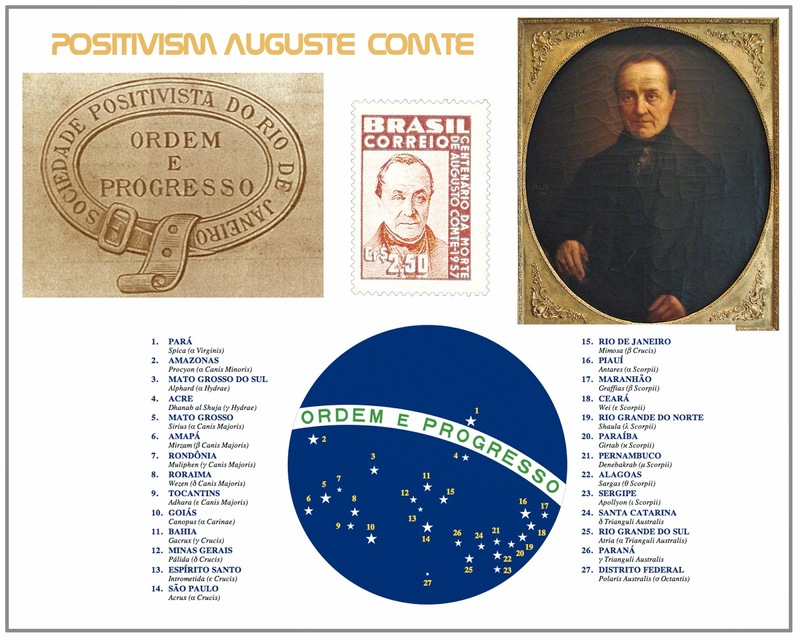 But it was in Brazil, in a radically different way, that the revolution from empire to republic, with the positivism of Auguste Comte seemed to have the potential to lead us to a privileged position among all other countries in the world. The "Order and Progress" inscription, always green, is an abbreviated of Comte positivism political motto: Love in principle and Order as base; the progress ultimately ("L'amour pour principe et l'ordre pour base; le progrès pour but"). Euclides da Cunha, a student of Benjamin Constant, said: "The motto of our flag is a wonderful synthesis of what is highest in politics"
“Live for others in order to live again in others and by others” with these words Comte pretty much sums his philosophy by stating that as more and better you do for your system, the more you will be remembered, and thus, your memory will live longer in society. - The Grand Milieu (Cosmic Space, stars and universe). - The Federal District has always been represented by sigma star in the constellation of Octant, also called Polaris Australis or Southern Polaris; Sigma Octantis have a unique position in the southern sky, because every other star appear to rotate around it. After World War II the entire world was terrified by the might and power that were given to people in government who, from the misuse of their representative offices, took advantage of the legality offered by positivism to install governments of oppression and discrimination. 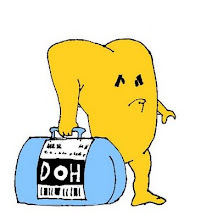 It was impossible to continue with a legal discourse that preached a rigid, inflexible, and highly coercive burden devoid of moral law, a merely mechanical Judiciary and Legislature with complete freedom to "manufacture" of that type of standard. When the Brazilian people realized that the forces that formed their republic falling out of favor, simply preferred to deny positivism in all its essence, instead of accepting only the good values ​​of doctrine, or to adopt what was called post-positivism. For Karl Popper, one of the founders of the philosophical movement of post-positivism, the purpose of science is not to obtain absolutely certain enunciations. The achievement of absolute truth, in his view, is unattainable. This is how we, Brazilians, should review the forces that led us to the republic. The scientific method applied to public administration should be a quest for a constant approximation to the truth.